Tottenham are still milling over their decision on Andre Gomes. In fact, according to 'Daily Star', Pochettino would be willing to invest just over 34 million euros to sign him. André Gomes is currently on loan at Everton, but his parent club is Barcelona, who will decide what to do with him once the season is over. The Toffees don't have a purchase option in their favour. That means that, if Everton want André Gomes, they will have to put up a decent amount of money. But Tottenham are perfectly capable of matching such an offer. In fact, they have set aside 34 million euros to convince Barça, or so says the 'Daily Star'. The aforementioned source assures that André Gomes has already been on Pochettino's radar for some time. His current performance means that Tottenham are now even more keen to have him in their ranks. 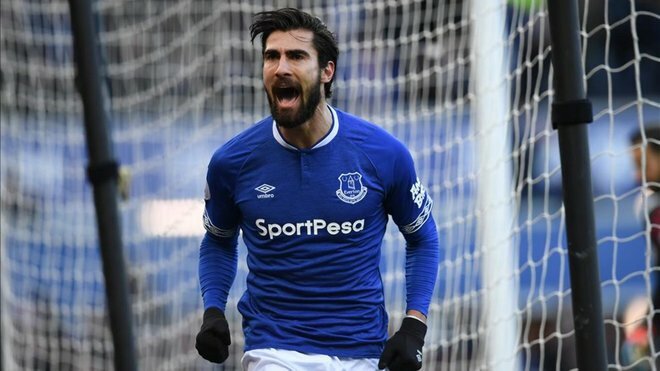 It remains to be seen who will win the fight, Tottenham or Everton but, be that as it may, Andre Gomes has unleashed a real war between the Premier League teams.